The early part of the 20th century saw cultural change all around the world. 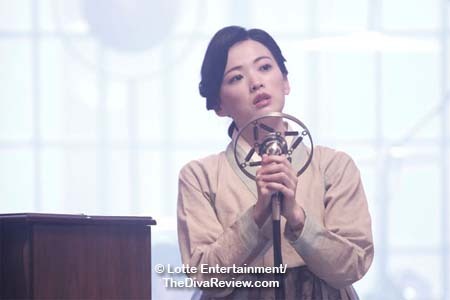 In Love, Lies, we are given a glimpse into the modernisation of Korea in the 1930s and 40s, when North and South were still one and the Japanese occupation tightened their grip on the subjected Korean people. 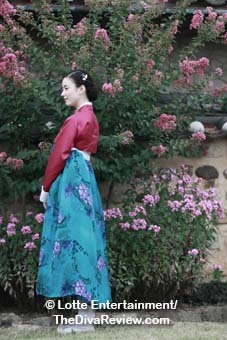 One remaining holdover of the Joseon dynasty is the existence of the gisaeng; the female entertainer most closely compared to the Japanese geisha. These ‘flowers that can speak’ are young women cultivated for their beauty and talent in the arts, who occasionally came under the patronage – connubial and otherwise – of wealthy and important sponsors. 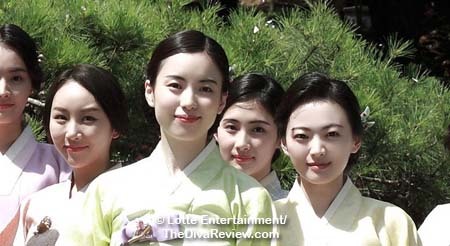 Like many traditions of the past, the multitudes of gisaeng in Korea are fading. 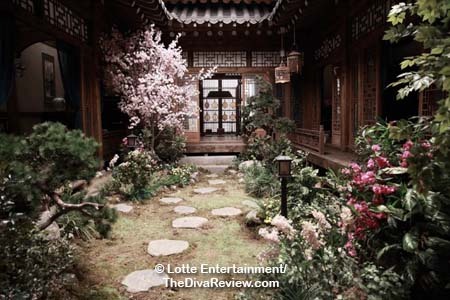 In one of the last gwonbeon; houses dedicated to boarding and training prospective gisaeng, we meet So-yul. 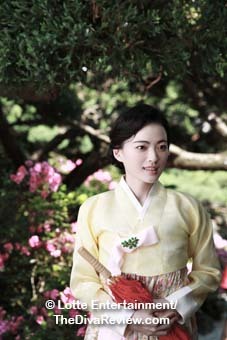 As the daughter of a prominent and popular gisaeng, So-yul takes her place as the heir to the long tradition very seriously. 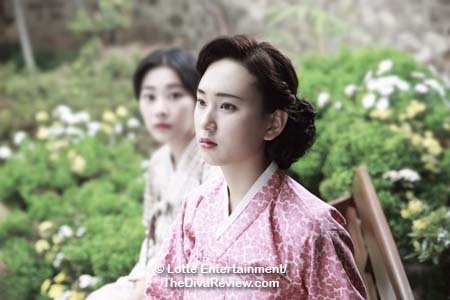 Being held in such high regard and burdened with such a heavy responsibility, keeps her at arm’s length from the other young girls around her; so the misfortune of another child somehow works in So-yul’s favour. 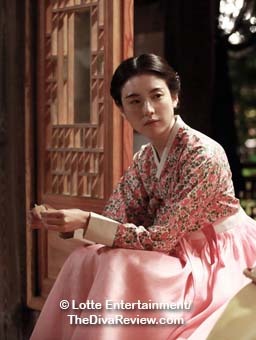 Poor and motherless, Yeon-hee has been sold to the gwonbeon to pay her father’s debts. 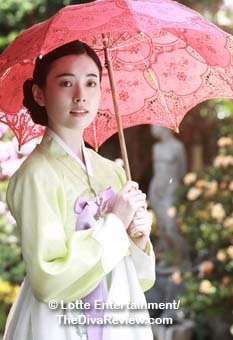 So-yul immediately takes to the miserable little girl, happy to have a real friend, and Yeon-hee quickly falls under the spell of So-yul’s sunniness and caring. As the inseparable pair grow into teenagers, the girls feel the same devotion to the work of the gwonbong, while sharing a love of the new, popular tunes sneered at by practitioners of the classic arts. 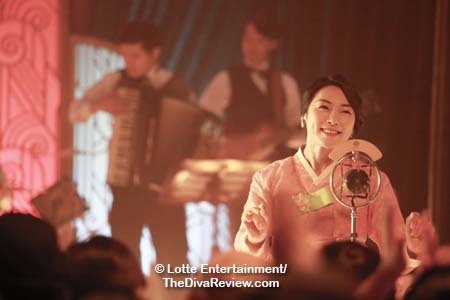 They cheer for glamourous singers and learn those fun, modern songs, whilst retaining the strict lessons of the classics. 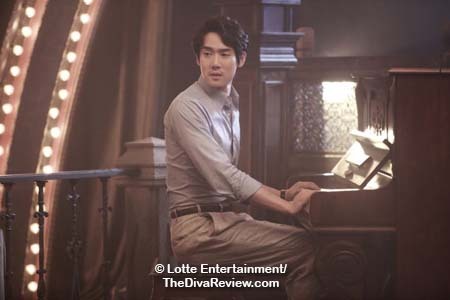 Seeing this new genre becoming the wave of the future, Yoon-woo, an ambitious songwriter and longtime beau of So-yul, means to bring his music to the masses, if only he could find the perfect voice to carry his songs to the nation. Love, Lies is ultimately a classic romantic triangle drenched in betrayal, jealousy, revenge and regret. 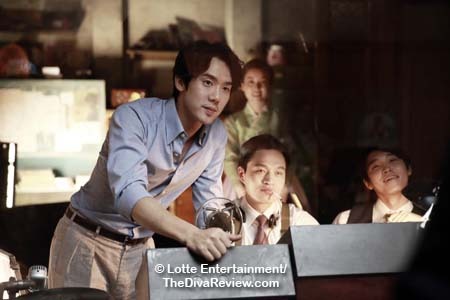 We watch the close bond between So-yul and Yeon-hee shred as their proximity to the determined, persuasive Yoon-woo grows closer. 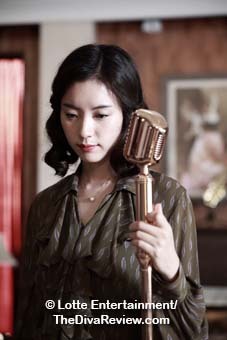 We see So-yul, trapped in her talent for rendering the antique traditional songs, fall behind Yeon-hee’s capacity for modern vocals, and with it ends So-yul’s dream of musical greatness and the promise of Yoon-woo’s love. 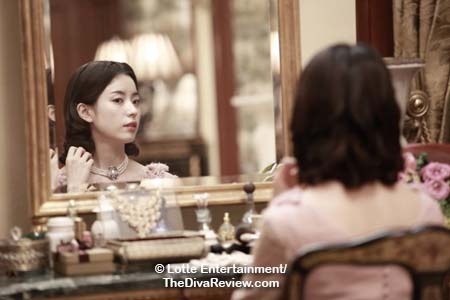 It’s Yeon-hee’s aptitude for pop excellence that sweeps the young, penniless girl to instant stardom and the opportunity to have for herself the things she’s always seen come so easily to So-yul. Cruelly pushed aside in every way that mattered to her, So-yul fights back the only way she can, by taking everything away from Yeon-hee, including the faithless Yoon-woo. 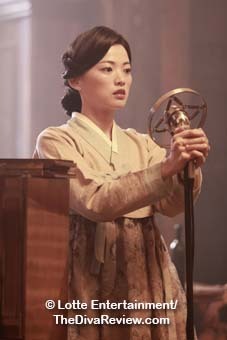 So-yul’s methods might’ve been a little much, but you know what they say about a woman scorned. One of Love, Lies’ issues is that it’s awfully hard to feel much sympathy for Yeon-hee and Yoon-woo. Let’s face it, they’re pretty terrible people. They are the ones closest to So-yul’s heart, with Yeon-hee more than a sister and Yoon-woo her fiancé, and they betray her completely. 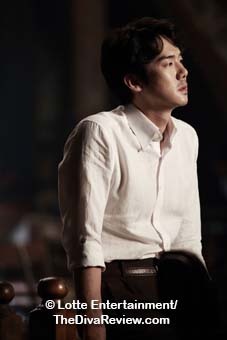 Their attraction also seems to be based less on some whirlwind depth of feeling than an almost sleazy greed: Yoon-woo sees Yeon-hee less as a woman than as his muse and vehicle to get his songs heard, while Yeon-hee seems to be motivated by and relish in the fact that this man who loved So-yul enough to propose marriage is now suddenly lusting after her. Besides carrying on an affair behind her back, neither one of them are decent or honest enough to admit the change in feelings to the person who brought them together and loved them both. While I don’t advocate many of So-yul’s subsequent spiteful actions, I can’t fault her rage. She’s a better man than I to care about either one of the backstabbers after they … somehow… fall afoul of the Japanese soldiers. 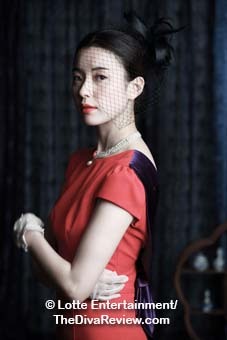 If outrage at So-yul’s revenge was meant to provide the crux of the emotional drama, this is where Love, Lies misfires. 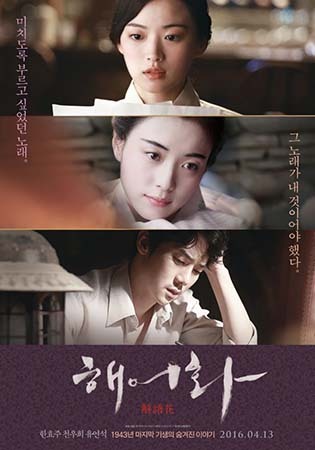 It is a tribute to the fine performances by the actresses Han Hyo-joo, Chun Woo-hee and actor Yoon Yeon-seok, that they make us feel anything for the post-betrayal relationship at all. There’s also a shorthand or sketchy editing that makes the film feel patched together at parts. 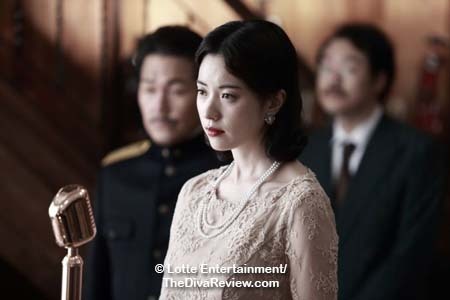 I’m not sure if it’s because I’m viewing as someone who does not have an in-depth knowledge of Korean history, but my sense as a viewer was that the terrors of the Japanese occupation had been stifled in this film more than in others I’ve seen take place during this time period. 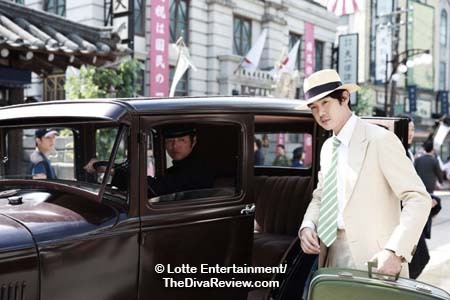 Perhaps that was done in the interest of this film’s likely appeal to a female demographic, or as a date movie, but a lot of the tension of life under the watch of the Japanese does not come across, even when Yoon-woo is sentenced to prison. For all the rushing around to get him out, there isn’t a feeling of impending peril. 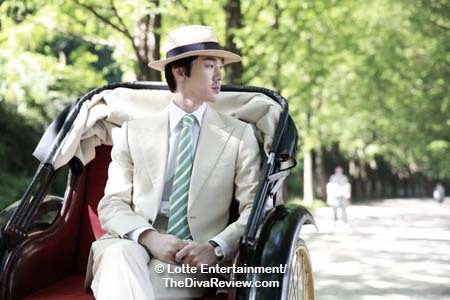 Speaking of Yoon-woo, I couldn’t help but wonder if there was more to his story, as he pretty much pops in out of thin air after the girls are grown from childhood. There’s precious little exposition of his previous relationship with So-yul; they seem to have known each other and been close for a very long time. 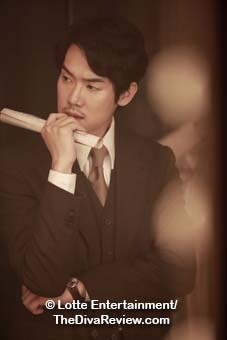 It was a facet that should’ve been filled in as we’re supposed to believe he is the great love of So-yul’s life and was one of several aspects in the film that felt rushed or not fully fleshed. 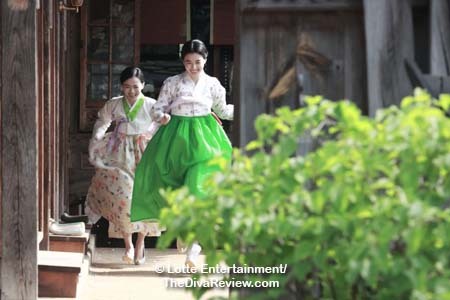 What makes up for the iniquities of Love, Lies, are its stunning production values; which immerse us in this era of Korean history. 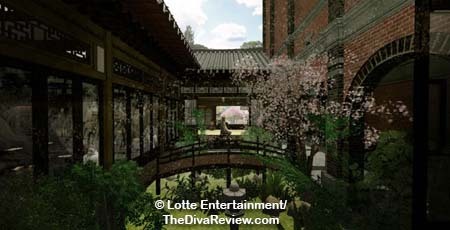 Every visual detail is dreamy and gorgeous; from the scenery of the idyllic, flowering trees surrounding the gwonbong and picturesque landscapes of the small city shops, to the stark change in tone after the Japanese begin to flex their muscle and terrorise the Koreans under their control. While still lush, the colours are muted and washed out, giving a sense of despondence. 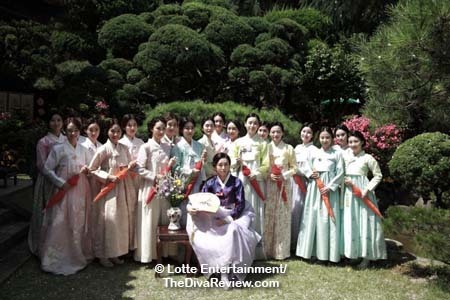 The stunning costuming really shows the effect of the old world giving way to the new; the clean lines and wholesomeness of the traditional hanbok gowns and long, untouched hair, being left behind for the daring modernity of slinky, form-fitting dresses and short, Marcel-waved ‘dos. 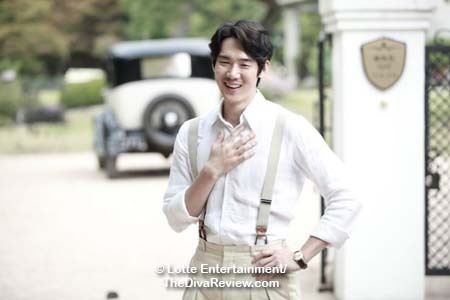 In his flashy roadster and tailored suits, Yoo Yeon-seok perfectly captures the suave handsomeness and the go-getter spirit that made Yoon-woo very much a child of his era, including his callow heedlessness to the devastation he causes So-yul. 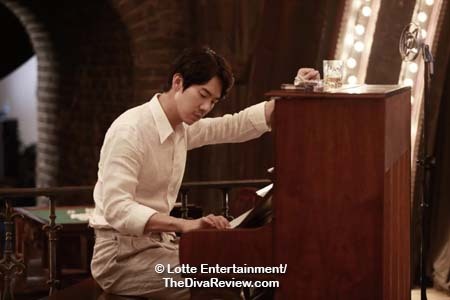 As it’s a story of two singers, music is a big feature of Love, Lies. 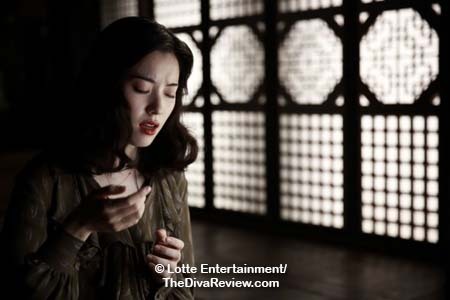 Actresses Han Hyo-joo as the classicist So-yul, and Chun Woo-hee as thoroughly modern Yeon-hee, perform their vocals so admirably as to make it possible for someone new to this music to understand the differences in style and delivery. 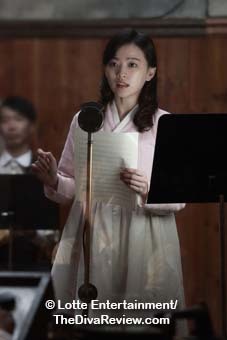 Shown for the most part as the lesser of the two vocalists, our film’s climax comes with a heart-stopping rendition of a song custom made for So-yul’s talents and captures the dichotomy of not only what she is going through in her internal upheaval, but also conveys the feelings of the changing nation. 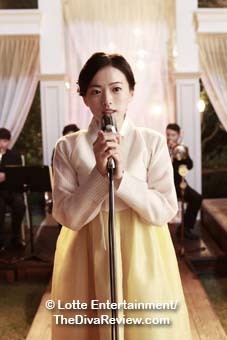 While not perfect, Love, Lies is a worthy discovery of a time and culture in Korean history not often seen on western screens. 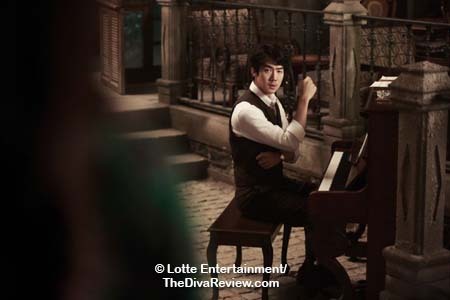 Its fine acting, heady romance and truly gorgeous visuals make it a pleasure to watch.